Ernst Haefliger Interview with Bruce Duffie . . . . . . . . 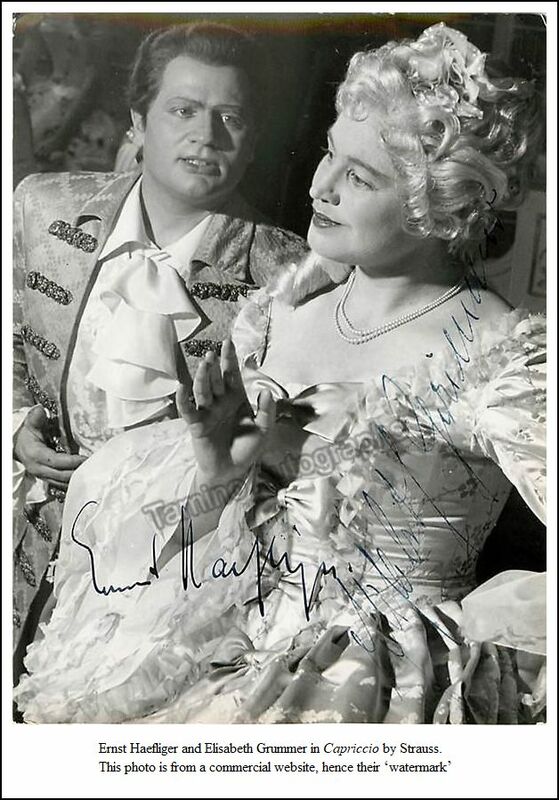 The noted Swiss tenor, Ernst Haefliger, is recognized as one of the great vocal artists of the 20th century. His worldwide reputation rests on his supreme interpretation of German Lieder, opera and oratorio which he has performed regularly throughout Europe, Japan and the USA. World-renowned for his interpretations of Bach, his performances of the Evangelist in the St. Matthew Passion (BWV 244) have set a worldwide standard. He is equally acclaimed and admired as one of the world's great lieder singers, and his recitals and master-classes have become legendary. Ernst Haefliger studied at the Wettinger Seminary and the Zürich Conservatory. Later he became a pupil of Fernando Capri in Geneva, and of the noted tenor Julius Patzak in Vienna. He devoted himself to lieder and choral works, and soon established a reputation for impeccable style and musicianship. He made his debut in Geneva in 1942 as the Evangelist in Bach's St. John Passion (BWV 245). Ernst Haefliger entered the world of opera at the suggestion of the late conductor Ferenc Fricsay. He sang with the Zürich Opera from 1943 to 1952, and made his Salzburg Festival début in 1949 as First Armed Man in Die Zauberflöte. He gained wide recognition when he created the role of Tiresias in the world premiere of Orff's Antigonae with the Zürich Opera at the Salzburg Festival in 1949. 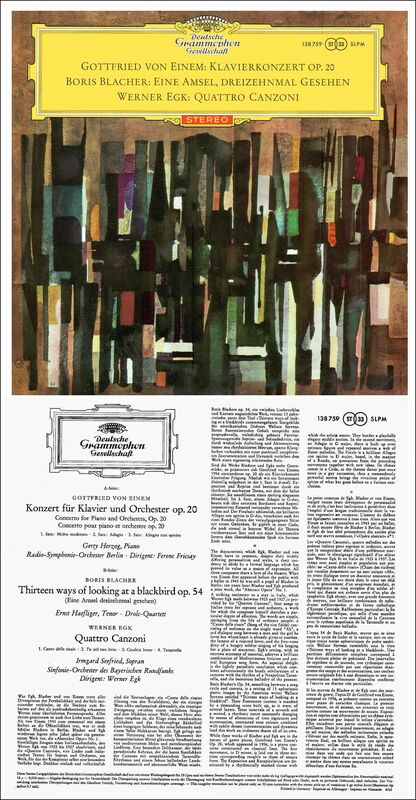 [Recordings exist of this performance, and a 1951 performance led by Georg Solti, as well as the studio recording from 1961 led by Ferdinand Leitner.] His Glyndebourne début was in 1956 as Tamino in Die Zauberflöte. From 1952 to 1974 he was a member and first lyric tenor of the Berlin Städtische (later Deutsche) Oper, but he also appeared as a guest artist with many of the principal European opera houses. Ernst Haefliger’s roles in Mozart’s operas were particularly esteemed. It was as Tamino in The Magic Flute that he made his U.S. debut at the Lyric Opera of Chicago in 1966. 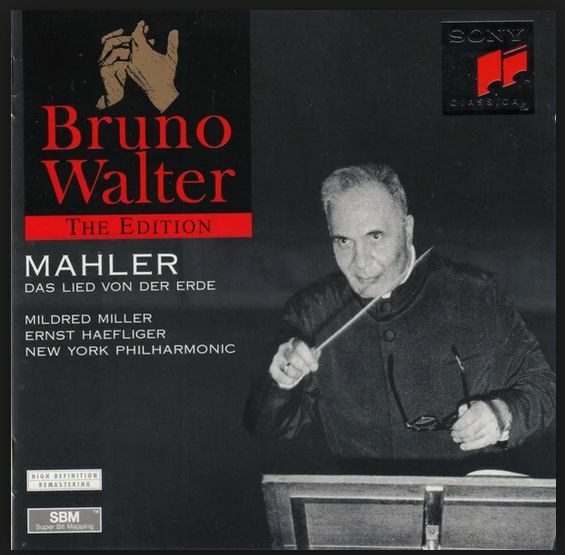 His first performance in North America was at the 1959 Vancouver Festival was heard by Bruno Walter who invited him to record Gustav Mahler's Das Lied von der Erde [shown at right]. Ernst Haefliger pursued a distinguished career as a concert singer. His appearances as the Evangelist in Bach’s Passions were notable. One of his tours of the USA was chiefly devoted to performances of the Bach St. John Passion (BWV 245) and St. Matthew Passion (BWV 244), with stops including Boston, Hartford, Princeton, New York, and Washington, D.C. He sang in premiere performances of Frank Martin's oratorios Le vin herbé (Zürich 1942), In terra pax (Geneva radio 1945), and Golgotha (Geneva 1949). Ernst Haefliger is applauded as one of the world's great Lieder singers, and his recitals have evoked the highest praise from critics throughout the world. He has sung regularly in the leading European concert halls, both in recital and with orchestra. During his career, he has made numerous New York appearances - at Avery Fisher Hall with the New York Philharmonic and Saint Paul Chamber Orchestra, and in song/voice/vocal series at the Metropolitan Museum and Carnegie Hall. In recent seasons, Ernst Haefliger has performed the role of Speaker in Arnold Schoenberg's Gurrelieder with the Pittsburgh Symphony Orchestra, Houston Symphony Orchestra, Minnesota Orchestra, Toronto Symphony, Munich Philharmonic, and with the Metropolitan Opera Orchestra and James Levine in New York’s Carnegie Hall and in Tokyo. He also gave master-classes in Zürich, at the Marlboro Music Festival, and in Japan. 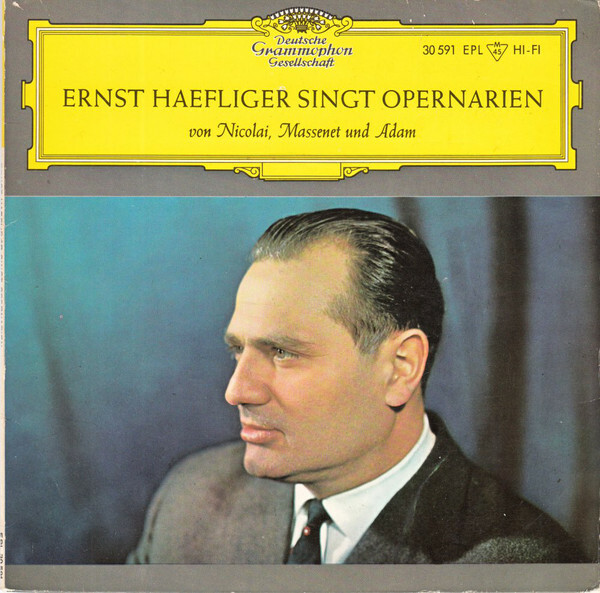 Ernst Haefliger's many recordings have been released by Angel, Columbia, Vanguard and Philips Records. 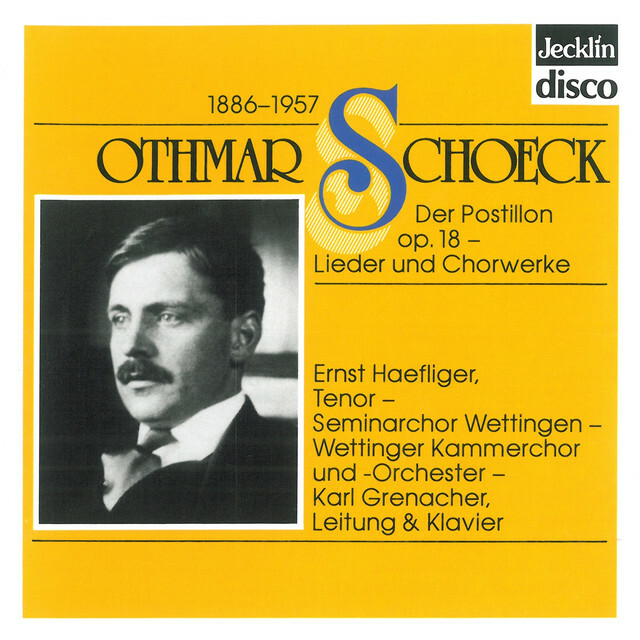 Deutsche Grammophon has issued a box set of twelve CD’s entitled “The Art of Ernst Haefliger,” with repertoire ranging from Bach to Janáček and including the three great Schubert song cycles. Ernst Haefliger was Professor of singing at the Munich Hochschule für Musik from 1971. He wrote Die Singstimme (Berne 1983). His son is the pianist Andreas Haefliger. 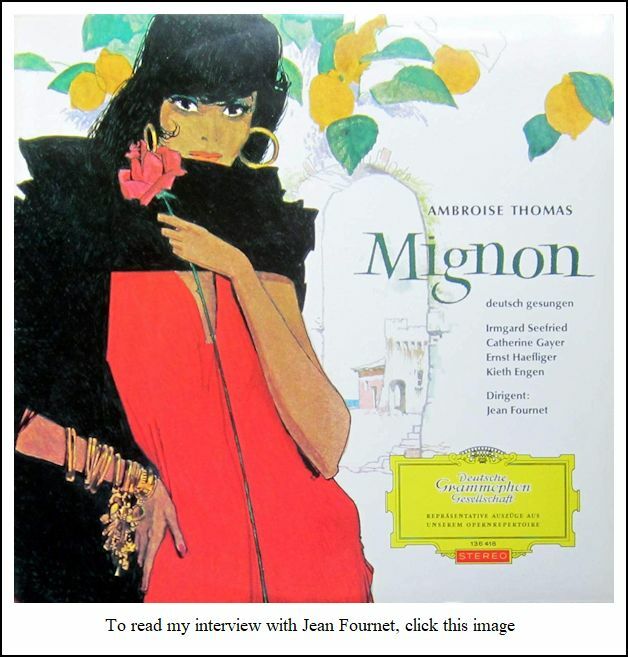 In August of 1992, Haefliger was part of the voice faculty of the Ravinia Festival, and I was able to persuade him to spend a half-hour with me. Portions were aired three times on WNIB, Classical 97 in Chicago, and now I am pleased to be able to present the entire conversation to mark his centenary. 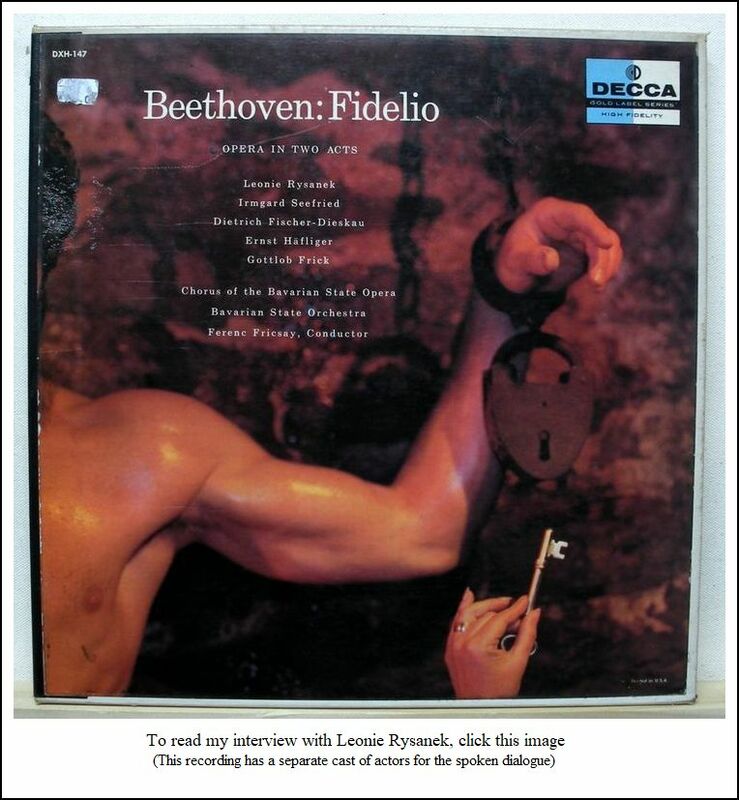 We spoke of a wide range of musical topics, and here is what was said at that time . 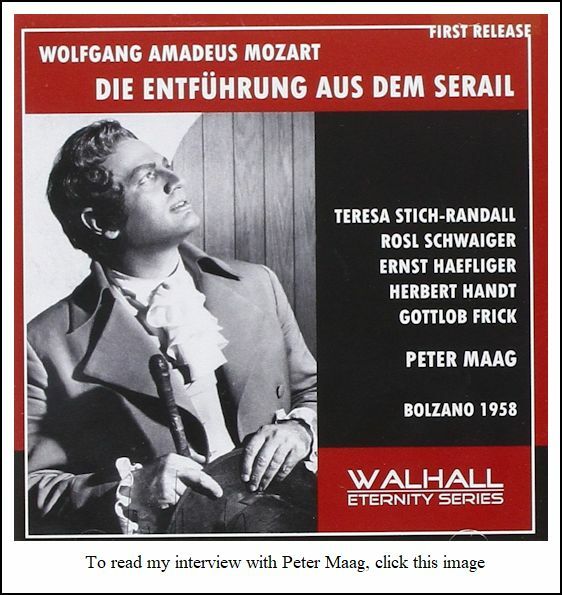 . . . .
Bruce Duffie: Tell me the secret of singing Mozart. Ernst Haefliger: To think of singing Mozart, you have to be very careful with the production of the voice, with the phrasing, and with the diction. If you sing Mozart, everything is as written. BD: Everything is in the score for you? EH: In the score, yes, and if you simply push it out, it’s not right. It depends if you have a recitative, like the big one from Idomeneo before the aria Fuor del mar. It’s a big recitative, and you can make it very deliberate. The recitative from Così Fan Tutte you can make with humor, and with a sense of what’s going on. BD: So how you perform the recitative is dependent upon on the story line and the action? BD: What about the arias? Are they all similar in some way? EH: No, if you sing Titus, perhaps you must have a little bit heavier voice, but also very good coloratura. If you sing Tamino in The Magic Flute, you can sing this with a softer voice and also a bigger voice. In that aria of Tamino, Dies Bildnis, perhaps you have to find out where the high point is, where the most important point is. Every time, I have the feeling that it’s in the lowest part. It’s very funny. BD: At the lowest pitches? EH: Yes, in the lower pitches is the biggest intensity. It’s not at the beginning. [Sings the opening phrase casually] That’s what’s in baroque music, it’s an exclamation, it’s a big leap of a sixth, and it’s what we call an exclamation. That’s easy to do. But to have the tension, to have the importance, it’s really in the lowest part. BD: So, you have to search through each aria and find the meaning and the interest? BD: Does the searching continue throughout your career, or do you find it at the beginning of your career, and use that forever? EH: No, during the entire career. I sang Così Fan Tutte in Berlin maybe 120 times, probably about fifty times with the same cast. We had a marvelous setting from Jean-Pierre Ponnelle, and the mise-en-scène [staging] was from Carl Ebert. It was very, very, very nice. BD: How did you keep it fresh in the thirtieth, and fortieth, and fiftieth performance? EH: Every time you sing in a big house like Berlin, you have to be fresh every time. You can’t dance and sing without your concentration to change a bit here and there. BD: So you can’t let down at all? EH: No, no, it’s not possible. BD: Did Ebert come back and tinker with it a little bit in the middle of the run, or every season, or did you just have it and then use it? EH: At this time he was the Intendant of the opera, so he was always there. This kind of mise-en-scène was beautiful, not over-driven but with finesse. Carl Anton Charles Ebert (20 February 1887 – 14 May 1980), was an actor, stage director and arts administrator. Ebert's early career was as an actor, training under Max Reinhardt and becoming one of the leading actors in his native Germany during the 1920s. During that decade he was also appointed to administrative posts, both theatrical and academic. 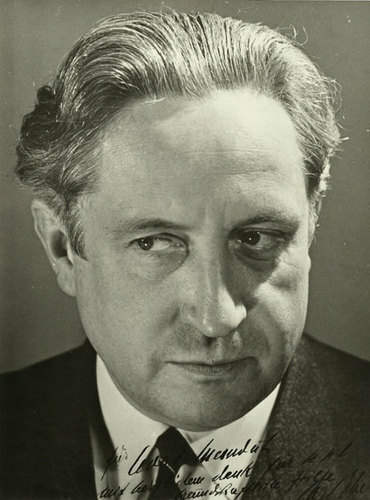 In 1929 he directed opera for the first time, and during the 1930s established a reputation as an operatic director in Germany and beyond. A strong opponent of Nazism, he left Germany in 1933 and did not return until 1945. Together with John Christie and the conductor Fritz Busch, Ebert created the Glyndebourne Festival Opera in 1934. Ebert remained its artistic director until 1959, though productions were suspended during the Second World War. In the 1930s and 1940s Ebert helped establish a national conservatory in Turkey, where he and his family lived from 1940 to 1947. At the end of the Second World War the Allied powers occupying Germany invited Ebert to undertake a thorough tour of all parts of the country and report on the state of the theatre. He did so, but declined the offer that followed of a permanent theatre post in Germany. When Glyndebourne reopened after the war Ebert and Busch returned, and their productions continued to set high standards. Ebert remained as artistic director until retiring in 1959. In 1948 Ebert created the opera department of the University of Southern California, Los Angeles of which he was professor and head until 1954. From this grew a professional company, the Guild Opera Company of Los Angeles, of which he was general director from 1950 to 1954. During this period he took American citizenship. In 1954 he finally returned to a permanent post in Germany, resuming his former position in charge of the Städtische Oper, Berlin. In 1961 he supervised the rebuilding and directed the opening production of the company's new opera house in Berlin, the Deutsche Oper, after which he retired. Ebert continued to accept invitations to work as a guest director with Glyndebourne (until 1963), Zürich and the Wexford Festival (until 1965), and Berlin (until 1967). In 1965 and 1967 he gave masterclasses, televised by the BBC. Ebert retired to California, where he died in Santa Monica at the age of 93. BD: Can productions of Mozart get too fussy? EH: Sometimes the humor can be too heavy to come across in this kind of opera. BD: How do you guard against that? EH: In a big house, like Berlin and also Vienna, you can’t make it more complicated than it has to be. BD: These days, we’re getting all kinds of different ideas about staging Mozart. Are some of these new ideas also valid? EH: I was in Salzburg to prepare with young singers from the Mozarteum, and the staging was by Ursel Herrman, and her husband, Karl-Ernst Herrmann, who is also a very good designer. The idea was to bring new ideas, but at the end, I don’t know. If you make it simpler, I think it goes better. BD: But you just can’t use the same ideas year after year after year, can you? EH: No, no, no, and this mise-en-scène went to Brussels. 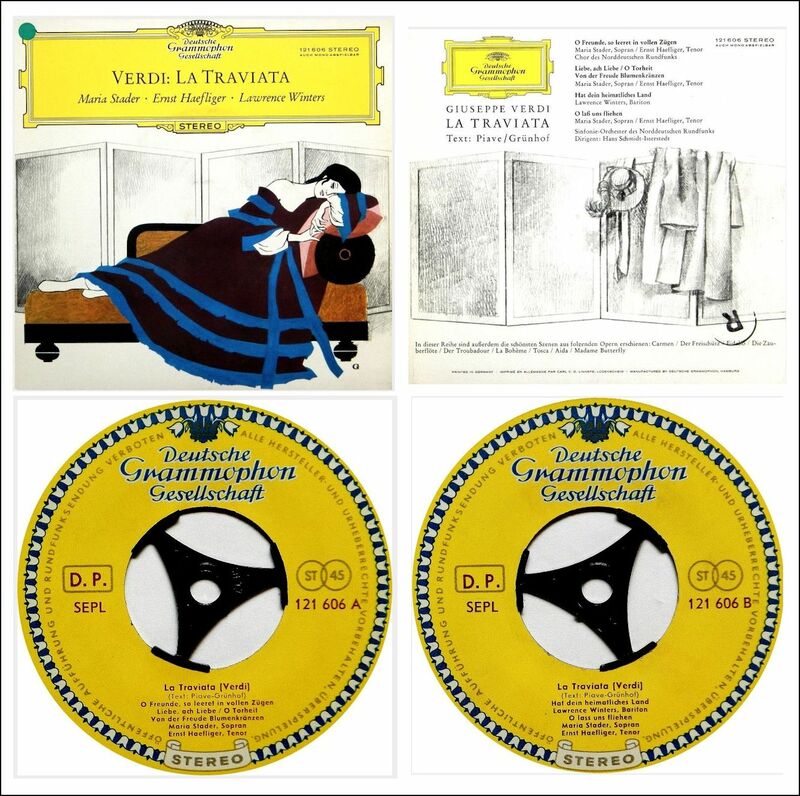 In the time of Gerard Mortier, he put on very good opera there. BD: You’ve sung in the ’40s, ’50s, ’60s, ’70s, and ’80s with the great singers of the world. Without mentioning names, are we getting singers today who are on the same level as the great singers of ten, twenty, thirty years ago? EH: Yes, I think so. Of the big tenors, I am a fan of Domingo. He is very intelligent. His phrasing is marvelous, and he makes the voice sound not exaggerated. He also varies his sound in the scene. Naturally, Pavarotti is a star with his high notes, and also he is a good musician. He does very good phrasing, and so on. We also have a lot of young Americans now who sing in Salzburg, and have very good voices. Thomas Hampson has a beautiful voice. BD: What advice do you have in general for the young singers coming along today? EH: Not to exaggerate the repertoire. If you sing the Verdi roles and this kind of heavy stuff early, you lose. BD: What do you lose? EH: You can lose the bloom of the voice, if you have a really good voice, if you go on too young. It can even be so with Italian singers and the Spanish singers. These people mature very early, and tend sometimes to push too much. So the voice goes. BD: Then they have a short career? EH: Yes. It’s my feeling that today the careers are shorter than ours were. BD: You yourself are still singing at seventy? EH: Yes, seventy-three! The voice still goes, otherwise I have to stop. BD: What is the secret of maintaining a career for over half a century? EH: To think every day about the voice, to train the voice, to be involved. You have to stay like a young life with this profession, and not be exaggerated. That’s important. EH: A slave??? A little bit, perhaps. I have many things to do, so you can do it. BD: Are there some roles that you have wanted to sing but have just not gotten around to? EH: Not, in opera, no, though I could still sing Palestrina by Pfitzner. That’s a role for an elderly tenor. I recently did recitals, and the St. Matthew Passion last year in Japan. I choose my roles carefully. BD: Is there a major difference singing an operatic role, as opposed to singing a concert work, or songs? EH: Yes. If you have to sing songs, then you must have the ability to sing opera also. To sing in opera, you must have more flexibility, more meaning about the colors and so on, and also the strength. If you sing only concerts, perhaps you can be very limited in your natural expressions. BD: So you don’t feel each song is a little opera? EH: No, they’re not little operas, no. It depends on the composer. If you take Strauss, you will find a lot of themes he used in the operas. Strauss stopped his career as a composer of songs for about fifteen years, and then he started to compose the operas Der Rosenkavalier, Ariadne auf Naxos, and all these. BD: So, most of the songs are very early? EH: Yes, a lot of them. And then after that came The Four Last Songs. It was very interesting. 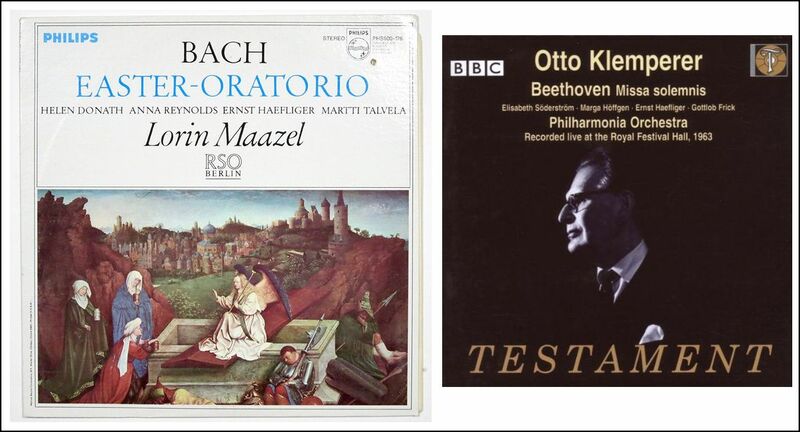 He went back and chose the music similar to the opera, and he chose other very good texts from Eichendorff and Hesse. BD: Is it very important to choose an excellent text for a song? 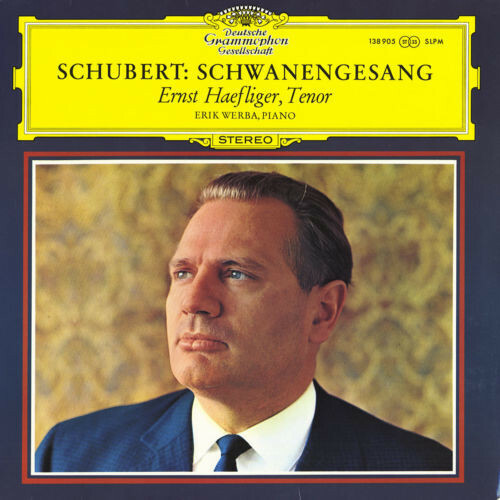 EH: If you take Schubert, he was really the first who made his music in the songs where the piano playing is also important like the voice and like the words. This morning we chose Suleika with a very good singer here, and we found out that it’s naturally very complicated. You must have a very fine pianist and very good singers who have the feeling, and don’t sing only with the voice. BD: Schubert sings on the piano as well as in the voice? EH: Yes. That’s very important, and you have to find out how Schubert starts. Very often it is with major and minor, but every time he changes. If he had another thing to tell, he moved into the minor, and he expresses it very quickly. If you find this out, then that helps the performance. BD: Should the pianist also take a few voice lessons to understand the necessities of vocal production? EH: Very good pianists have to, in order to be able to sing at the piano. BD: So then, in a way, you have two singers on the stage — the vocalist and the pianist. EH: That’s very important. I have a son, Andreas, who made his career in the United States. He was at the Juilliard School. He has made some records which I think are very good. BD: I have played some of his recordings on WNIB! EH: That pleases me very much. I told him at an early stage that you have to sing at the piano. He has his technique now, and he can make the piano sing. He’s very gifted rhythmically, and has his own ideas. He’s a very nice guy, and very good. BD: From this huge array of literature, how do you decide which songs you will sing? EH: It depends on your involvement. 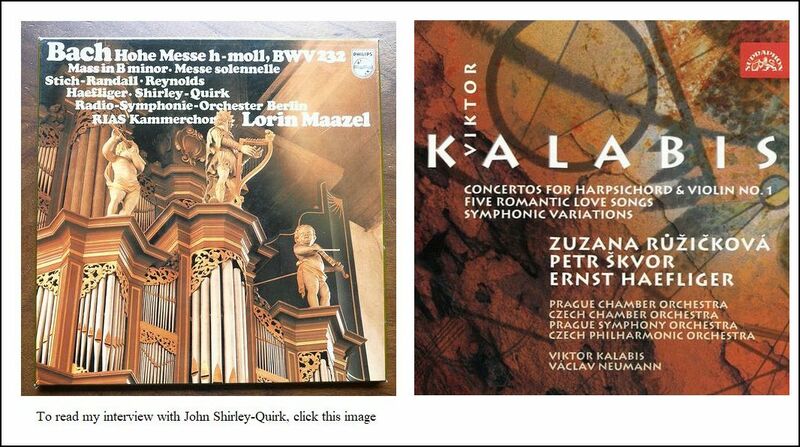 At one period when I sang Schubert, I tried to make love-songs of Schubert as group one, and then heavier ones as group two. But that depends on your meaning. BD: But aside from the cycles, he didn’t make groupings, did he? EH: No. We can use Suleika I and Suleika II to form a group. You can use this as a group of two Lieder. It’s not a cycle, but they fit together. The first one tells about the East Wind which brings everything — joy, and the good things, and the West Wind is the bad wind. It brings tears and sorrow. BD: So you put those two together as Yin and Yang? BD: But when you’re making up a program, how do you decide the rest? EH: If you make a program, you have to look at how the piano part lies. If you have [sings a group of sixteenth notes in triple time as if it was the accompaniment], then you have to make a contrast with another song that has chords. That’s the most interesting. Then afterwards you change it anew, but you have really to think about it, to make a choice from the piano that is different. Then it’s really interesting, and if you made a group, you make it with the same themes in the group. Then you change to another theme with another group. BD: Are you then being a little bit of a dramatist in arranging each group? EH: Yes, that’s very interesting for the public. BD: Should songs like these ever be sung in translation? BD: Where was this performance? EH: It was in 1968 in Puerto Rico, and later in New York with the Robert Shaw Chorale. BD: Are the audiences different from Vienna, to Berlin, to Puerto Rico, to New York, to Japan? EH: I have the feeling that the audiences in Japan are very, very attentive and very interested. Sometimes the people do not understand, but they’re prepared, and they have a great feeling for the music you sing there. Next November I am doing some fun things at the new Oji Hall that’s in the Ginza part of Tokyo. During the opening week there will be Rostropovich, Fischer-Dieskau, Teresa Berganza, and me, and they have asked me to sing some Japanese songs. BD: Will you sing them in Japanese? EH: No, they made a beautiful translation into German, with all the accents right. It’s very interesting. These are all the old Japanese songs everybody knows there. Then I will also do one piece of a modern composer, Toshio Hosokawa. He is a very young composer, and a very good one. This will be a piece for voice with guitar. BD: Do you enjoy singing modern music? EH: I’ve done a lot. I sung the premiere of In Terra Pax by Frank Martin. Now this music is not modern today, but in the ’40s it was very modern. I have also sung the premieres of Golgotha, and Le Vin Herbé, also by Martin. BD: Martin is Swiss and you are Swiss. Is there a special compatibility among Swiss performers? EH: No, I was the only tenor there! [Both laugh] That was the start of my singing career. BD: Was it special for you, as a Swiss, to sing the Swiss music? EH: Yes, and it was very good music, and we did Le Vin Herbé once in New York, at Town Hall years ago. BD: What about other modern music? It seems that some of it is perhaps even too difficult to sing. EH: If you have absolute pitch it is not difficult, but you lose everything between the notes. BD: [Gently protesting] Isn’t there where the music is? EH: [Smiles] Yes, and you have to know such things. You have to have relative pitch. I was a violinist, so I was trained to find it. BD: Do you have any advice for people who want to write music for the human voice? EH: Yes, the human voice depends on the ear, and you can train the ear. Hermann von Helmholtz was a scientist, and he found out how the ear functions. You can’t overstate this. Personally, I think it’s ridiculous if you make this kind of sound with the voice [makes percussive sounds on the table]. BD: So the voice should be a beautiful melody? EH: No, it can also be a strange melody. It can be very abrupt, but it should not make kind of garish sounds. It doesn’t work. You can make that kind of sound with a computer for electronic music. EH: I think music is coming back. Look at some of the young composers in Germany, like Wolfgang Rihm. He’s a sort of Mahler-esque composer. BD: We’ve had two Rihm pieces played here at Ravinia this summer — a violin piece and also a quartet. EH: Did you notice the same feeling? EH: Also, I sang once a piece from Aribert Reimann. He composed some very nice things for the voice, but he put in tritones every time. This gives him his line. He’s a very good composer for the voice. BD: The only work I know of his is Lear. EH: Oh, that’s a beautiful piece. BD: You’ve made a number of recordings. Do you sing differently for the microphone than you do in performance? EH: I never got too near to the microphone. Then, my expression was not fabricated. BD: But in your mind, were you performing differently? BD: So for the microphone you had a vision of an audience? EH: Yes. For the microphone, you never to exaggerate. If you do not make too much, then the microphone takes only the same quality. BD: Are you pleased with the recordings that you made over the years? EH: I have made one Schöne Müllerin, my first one, and some of these old ones are the best, but not every one. I made a recording of Winterreise with Jörg Ewald Dähler. He has an old instrument from Schubert’s time, and this was very clean. One I like is Janáček, The Diary of One Who Disappeared. I sang very often here in the United States with Paul Ulanowski at the piano. The first time was in Chicago, then in New York, and Boston twice. BD: Did that get recorded? EH: It’s very, very good. The Japanese made a CD of it. BD: Are you pleased with the sound on the compact disc? EH: I have the feeling that it’s not as lively as the LP record. Perhaps it’s quite better, but the sound is very direct and very clean. BD: [With a gentle nudge] Too clean? [Pause] I should tell the listeners there is a great big smile on your face. [Both laugh] Coming back to opera for a moment, let me ask the ‘Capriccio’ question. Where’s the balance between the music and the drama? EH: Aha! [Laughs] Just today, I had a discussion about this. You have to put the two in together, and that’s very difficult. By the way, I sang very often Flamand in Capriccio at the opera in Berlin [shown in photo at right], and I like it very much. [Sings and hums a few measures of the score] That’s Strauss, and it is like singing without measures. He has a rhythm, but the meter of the words is more important. You can sing this very freely if you have a good conductor. BD: On that topic, what advice do you have for conductors today who want to direct opera productions? EH: To sing first! They have to have this ability to understand the voice. There are some young, very good conductors. One is in Switzerland, in Basel who’s a very, very good, and very young. [Unfortunately, Haefliger does not give his name.] He has this ability and this technique, like James Levine. BD: Levine loves the voice. EH: Yes. I sang very often with the Cleveland Orchestra and George Szell every year, and then Levine was the understudy of George Szell. We would do Schubert Lieder, and everything I liked he coached. He played everything on the piano at sight. Fabulous. BD: We’re very lucky to have him here at Ravinia [Music Director 1973-93]. EH: I think he’s very gifted. In Chicago I sang once Paradise and the Peri with Giulini , and this was marvelous. I never forget the sound of the orchestra. [Hums again, then mentions Frank Miller, the Principal cellist of the Chicago Symphony (1959-85), after having held the same position with the NBC Symphony under Toscanini (1940-54).] He was so nice and so friendly, and had a lovely laugh. BD: Do you like being a ‘wandering minstrel’? BD: Do you always sing well? EH: [Thinks a moment] I never lose the control. On some notes the voice is perhaps not so big like before, but every time I’ve controlled it. This repertoire which I sang very early, I have sung for many years, and it’s so that I can sing every day. BD: Thank you so much. I appreciate your taking the time today. This conversation was recorded at the Ravinia Festival in Highland Park, Illinois, on August 3, 1992. Portions were broadcast on WNIB the following year, and again in 1994 and 1999. This transcription was made in 2019, and posted on this website at that time. My thanks to British soprano Una Barry for her help in preparing this website presentation.